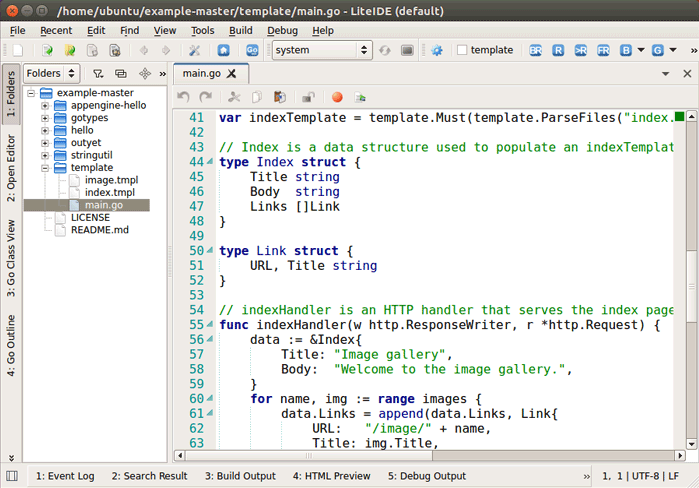 To Install LiteIDE on Ubuntu, Download the LiteIDE package from following URL sourceforge.net/projects/liteide. (The download file is a bzip2 compressed archive file). To add desktop shortcut, create a new file called LiteIDE.desktop on your Desktop and add the following entries. That is all we need to do.